I left Kenya without finishing all my blogging. When I got back to the US, I got all busy not having a job and sort of abandoned all of my dedicated readers (i.e. Mom). I figured it might be best to finish off our adventure in Kenya before we take off for my sister's wedding in the Bahamas next weekend. 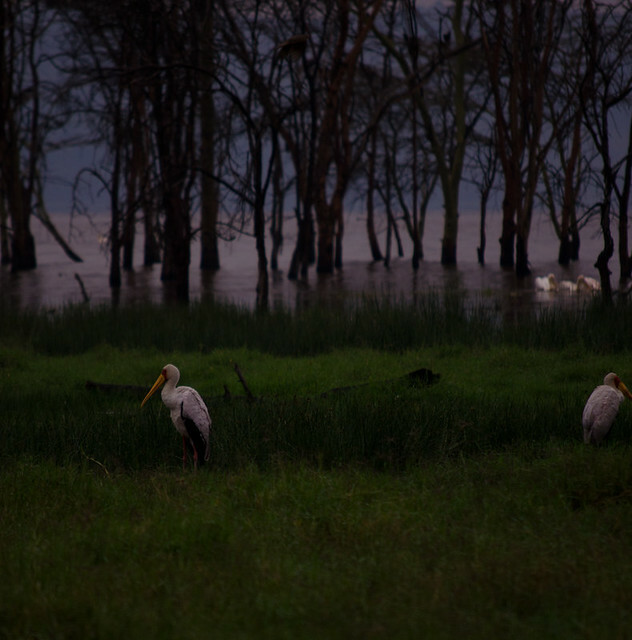 Lake Nakuru is a little more than half way to Nairobi from Mumias and most famous for its birds. Our visit to the the KWS park started out with a little hiccup. We were under the impression that we had arranged for a student admission rate to the park. This is $40 USD, rather than $80 USD. The letter that granted the student rate never made it to me. I was sent an email, but there was no attachment. So I never saw the letter. Our guide to the park had it in his email and was able to pull it up on his laptop to show the park rangers. This is when the fun began. First, the lady at the ticket booth said that we had to take the letter to the booth on the other side of the gate where they would do something. So we did. And they did. Wen we came back to the ticket lady, she looked at what they did and let us know something was still missing. So we went back to the other booth. They did something else. The ticket lady was still not satisfied. She insisted some sort of form was missing. The man from the other booth (who had accompanied us back to her booth) had no idea what she was talking about. After some confusion, he walked over to a desk, pulled a weird receipt book out of the desk and started to fill it out. But then, it appears, he was going to need all of the students' passports. I want out to the group and gathered up all the passports and brought them back to ticket man. He pulled out a calculator and proceeded to do subtraction for each passport. Open passport. Type 2012 into calculator. Minus. Type birth year in calculator. Set passport aside. Repeat. I quickly caught on that we were determining student ages. "What age is he looking for?" I questioned? I could tell him. I knew everyone's ages. Also, you don't have to do math for each student. If we know the age, then we know the birth year they cannot have been born before (or after) so we just have too look at that. Clearly, I was being too sensibile. I overheard someone say 33. Oh, no problem, I can tell you that none of the students are older than 33. Finally, after going through about half of the passports, the man pointed to our letter (remember, the letter that I had never seen?). It clearly stated that we would be granted student admission for all students 23 years and younger. Hmmm...well, you wouldn't have needed to do all that math if you had just asked me. I can tell you that all the students are older than 23. In fact, the two youngest students turned 24 while we were in Kenya. So no student rate for us. Ok, fine. But we only brought enough USD to cover the student rate, $600 USD, and now we owe $1,200 USD. Ok, also fine. We can just pay in Ksh right? Wait, your exchange rate is 88 Ksh for $1 USD? That is insanity. We only got 80.1 Ksh when we converted our USD to Ksh at the bank. We were totally getting hosed on this deal. In order to save a couple bucks, I was sent out to the students again to collect all the USD they might have on hand. Finally, after much confusion, we paid our tickets and were on our way into the park. 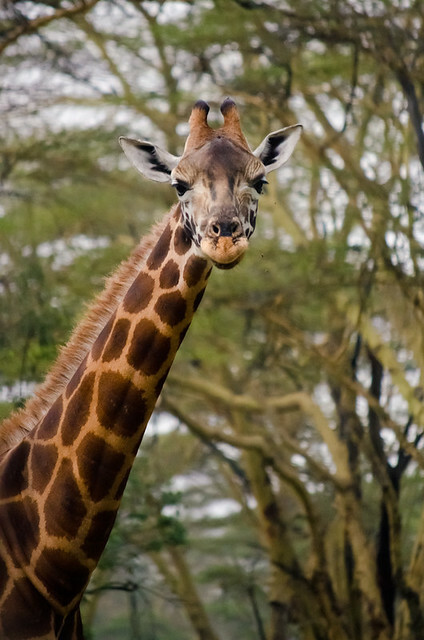 If you remember, the Impala Sanctuary in Kisumu was really a terrible zoo. 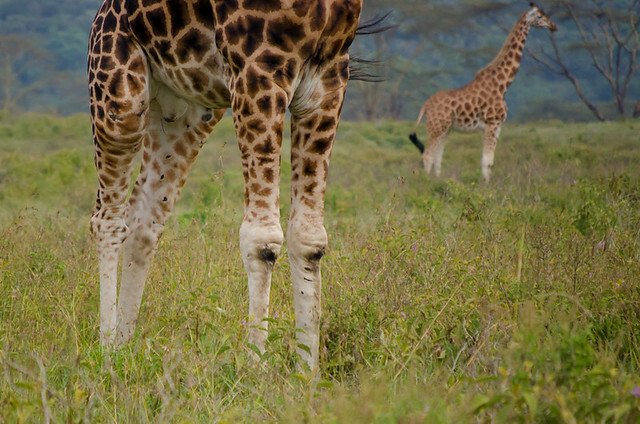 And the Maasai Mara is not an enclosed space at all, you just happen to be where the animals live. Lake Nakuru is somewhere in between. The entire park area is fenced in, but within that that fence, the animals just live their normal lives, mixing about, eating each other and such. This set up meant that we could get a lot closer to the animals than we did in the Maasai Mara, but it also meant that it had more of a staged feel to it. 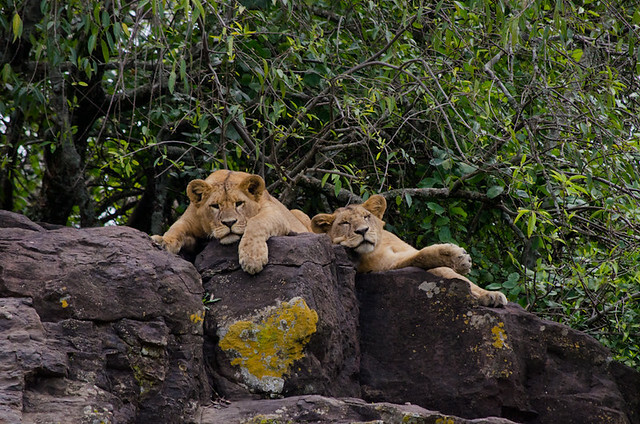 We got a much better look at some lions. 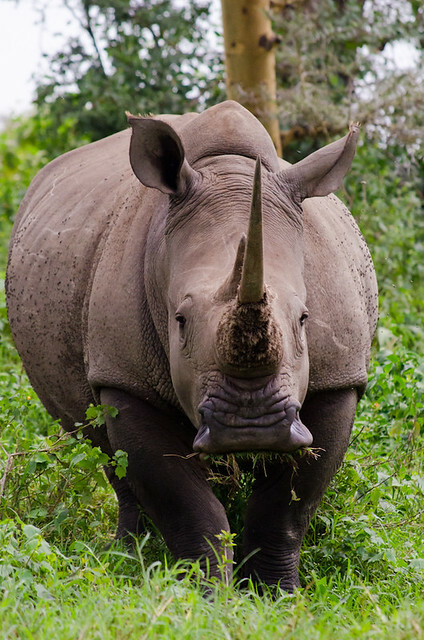 And we checked off the last animal we had not see on the Big Five, the rhino. The night before, I got just about zero sleep. Our room faced the street and the traffic noise was constant and LOUD throughout the night. Plus it never got complete dark in the room, what with the light from outside and the hallway light shining through the required glass panel above the door. Why must all Kenyan hotel and guesthouse rooms have glass panels above the door? After visiting the lake, the students trekked out to see the Menengai Crater and Egerton Castle. I took a nap. Apparently, the crater was pretty awesome, but I am not sad I missed the castle. Reports indicate it is a big, empty house built in the 1940s. There appears to be no reason to actually visit it. So there you have it, Lake Nakuru. I am only a month behind in blogging now.